Visually spectacular, the story is fine and interesting enough, although it never veers into the realm of true creativity. 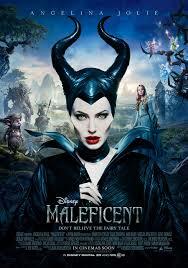 Maleficent is a movie that is filled with imaginative creativity. it’s a version of sleeping beauty that’s told from the point of view of the villain, and how maybe she wasn’t really all that bad after all. the best thing about the movie, however, is not the story. it’s the visuals. there are all kinds of cool creatures and fun battles at play here and all of it works. in fact, the story is the weakest part of all. the first half is pretty cool, with all of it’s inventiveness about who this fairy really was, but the second half which becomes more about sleeping beauty and the curse, isn’t nearly as entertaining. still, the excitement is there, even when the story isn’t, and the result is a playful film that takes the style of snow white and the huntsman and brings it to the next level. Maleficent is a remarkable work of art. it’s a fun movie, but more than anything else, it is absolutely beautiful. the effects and creativity here are off the charts. this is Snow White and the Huntsman times ten. and all of that should be credited to the director, robert stromberg. this guy has been working in visual effects and production design for years. he won oscars for the the art direction, of both alice in wonderland and avatar. and now, for the first time, he’s trying his hand at directing a movie himself. the result is pretty cool. There’s a lot to like about maleficent, including the ways it takes a familiar story (sleeping beauty) and only uses the bare bones of it. instead, it comes up with it’s own ideas, it’s own reasons for why those known events might have happened, and a very different way of looking at things. the fact that this movie copies another disney film, frozen, for it’s ending, is not that big of a deal and the grand scheme of things. much more important is how wildly imaginative this film is up until that point. At the start of the movie, we are brought into a world of two neighborin kingdoms. the first is the kingdom of men. there is one giant castle, one king, and a whole bunch of people who serve him. the kingdom nearby is one of creatures and animals and mythological beings. this is the nature kingdom. we see all kinds of interesting and unique creatures as we pass by overhead, and one looks cuter than the next. that’s when we meet maleficent, as a young girl, with horns on her head and giant wings on her back. maleficent is a fairy and she lies on the branches of a tree as if it’s a hammock. when she finds a broken tree branch, she uses some magic to quickly fix it, talking to the tree as she goes about it. young maleficent is quickly called away by news that a thief has been caught in the kingdom. she goes to check it out and finds two giant tree guards standing outside of a tunnel in a mountain. the thief is hiding inside the tunnel. these tree guards are very cool creatures. in the ten plus years since the second lord of the rings movie, the two towers, special effects have come a long way, as evidenced by how much cooler these tree creatures are then the ones featured in that film. maleficent calls off the guards and the thief comes out. he’s just a boy who made a mistake, and maleficent and him quickly become friends. this boy is stefan. we see him and maleficent playing as children, but soon learn through voice over that the two of them both grew older and went their separate ways. stefan fell into the business of the kingdom and maleficent became the ruler of this mystical kingdom, known as the moors. one day, the king of the humans got news that the creatures of the moors were becoming too powerful, and decided to go check it out for himself. the king and his men marched on the land of the moors and found maleficent protecting the land. this turned into a giant battle, which was actually incredibly fun. the giant tree creatures, now looking even cooler, (and heavier) than before, fought alongside maleficent, and the result was that the people were defeated. the king now lay on his deathbed back in the castle. it is in his bed chambers, that we now see stefan again. he is a servant of the king who overhears something that the king says to those around him. the king makes a proclamation that anyone who kills maleficent will be the one to take his place and become the next king. i’m surprised only stefan took him up on this challenge. i would have thought that right then and there, a whole bunch of knights in the kingdom would go after maleficent, and maybe stefan would go and find her and pretend he was there to protect her. he would warn her of the others who were coming, and only when she trusted him and turned her back, would he kill her (well, take her wings.) not all of this happens, but some of it does. basically stefan does go and find her and become friends again and regain her trust, and he does take her wings while she is asleep. When stefan returns to the castle, he shows the king the wings, tells him that he killed maleficent, and the king makes good on his promise. stefan becomes the new king. meanwhile, maleficent turns a bird into a man, and this becomes her new friend and spy. the bird tells her that stefan has become king and maleficent now knows why he cut off her wings. she shows up when stefan has a child, and puts a curse on the baby. it is only when stefan demands forgiveness that maleficent makes an exception to the curse, saying the child will fall into a deep sleep, but that it may be broken by the kiss of true love. this curse leads the king to send his daughter away for sixteen years. the curse says that all of this will happen on the babies sixteenth birthday. so the king sends the girl, aurora (played by elle fanning) to live in the woods with three small fairies to watch over her. it’s a little unclear why he sends her away and how this will prevent the curse, but for the sake of the story, it has to be this way. having the little girl in the woods leads to maleficent actually running into her, unintentionally befriending her, and even becoming the girl’s godmother. these are the scenes where the movie starts to wear or it’s charm a little. it’s all just too convenient. then, on her sixteenth birthday, aurora returns to the castle. the very next day, she does get her finger pricked and does fall under the spell. how exactly her finger got pricked is unclear, and it actually looks like maybe she did it to herself. this leads her into a deep sleep. maleficent comes to visit and that’s where we get the frozen ending about true love not being what we’ve come to expect. 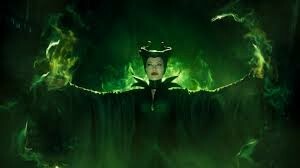 the movie then ends with the king’s men attacking maleficent and her turning her bird friend into a giant dragon. it makes for a pretty exciting climax. there’s a lot to like about maleficent. without question, the coolest thing about this movie is the creativity in visuals and the look of the film. this movie really does create a new and fantastic world, which is quite an accomplishment considering how many movies tried to do that and failed (the chronicles of narnia movies to name one example, and the golden compass to name another.) the story here is somewhat creative, but also a little too convenient at times. some things don’t really make sense, but that’s okay, becuase in the realm of fantasy, we are able to suspend disbelief and just go with it. there isn’t the greatest story here, but it’s good enough to carry us along, and the movie knows how to amaze us with imaginative ideas and visually stunning scenes.